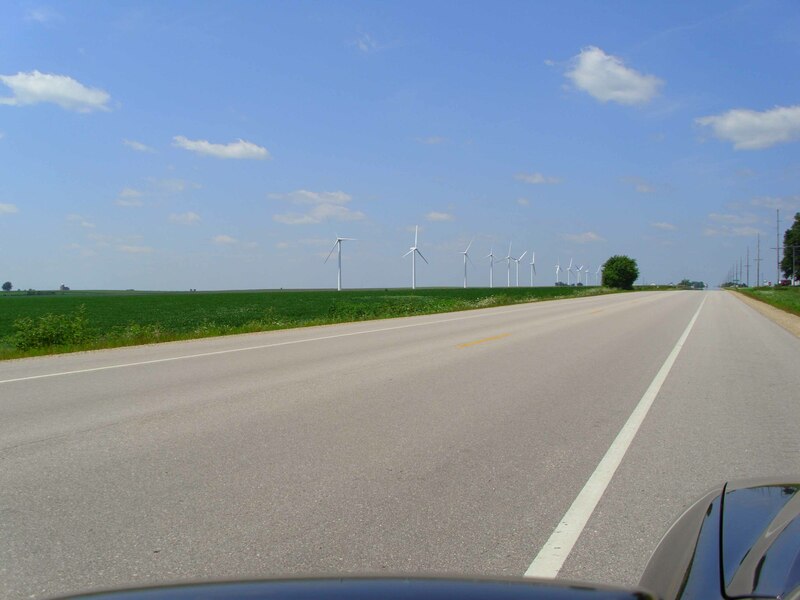 We retraced our path from 2009 over a bit of the “Great River Road” along the Mississippi from Prairie du Chien to La Crosse. Because of the thunderstorms that had recently swept through Minnesota and northern Wisconsin, the river was much higher than we’d seen it last year, and full of floating weed. 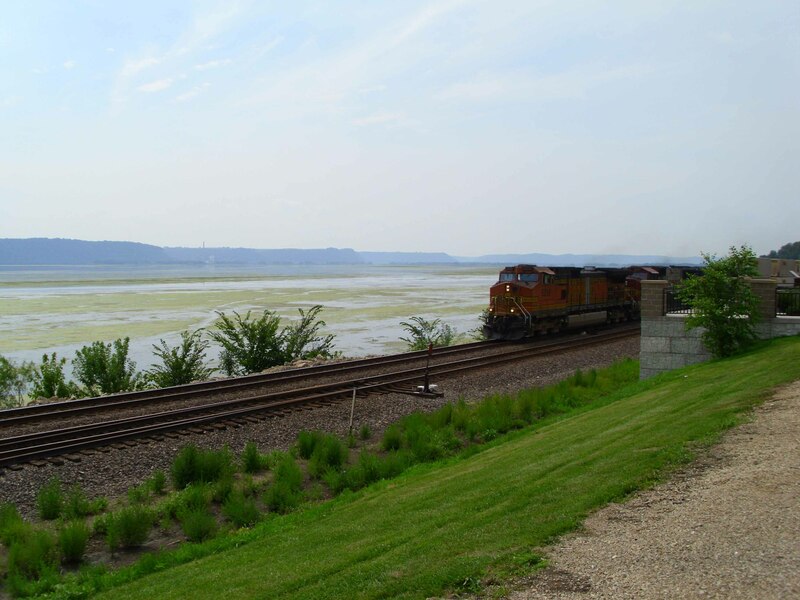 We took some pictures at the same vantage point as last time, and to my delight, one of those long freight trains came through. I’m not quite sure why I get such pleasure from the trains – a schoolboy fascination with heavy machinery, perhaps, but they certainly typify America for me. I’d hoped to buy myself a T-shirt like the ones we saw last year, which had a slogan along the lines of “American values. 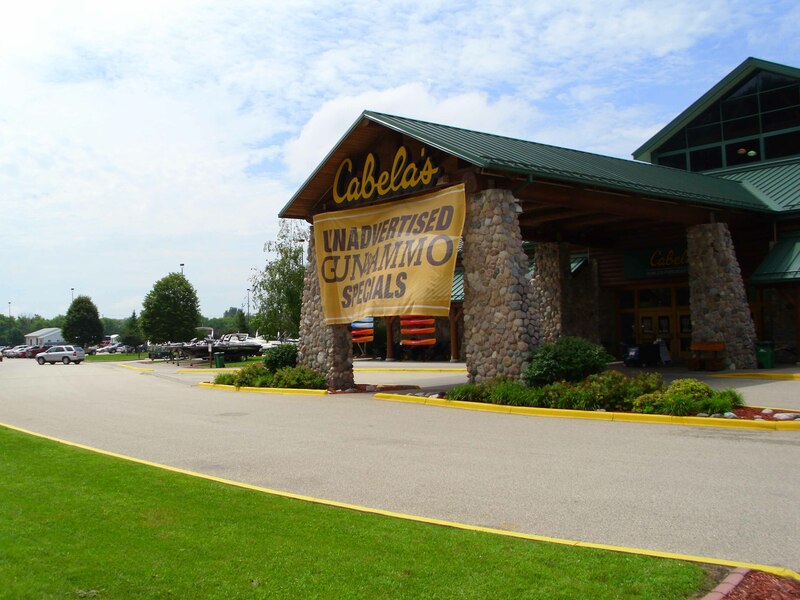 Motherhood, Apple Pie, the 2nd Amendment, and Cabela’s”. This year’s are more obviously jokey, although I was quite taken with one that said, “Droppin’ the hammer on thunder chickens” with a picture of a wild turkey. Sadly, they didn’t have it in my size. But I spent a happy hour in the fishing section, and even bought some artificial baits that aren’t available in the UK. And then back to Delavan for our final night in the US, and the inevitably tedious flight home. This entry was posted in Fishing, Motorcycling and tagged Cabela's, Famous Dave's, USA, Wisconsin. Bookmark the permalink. 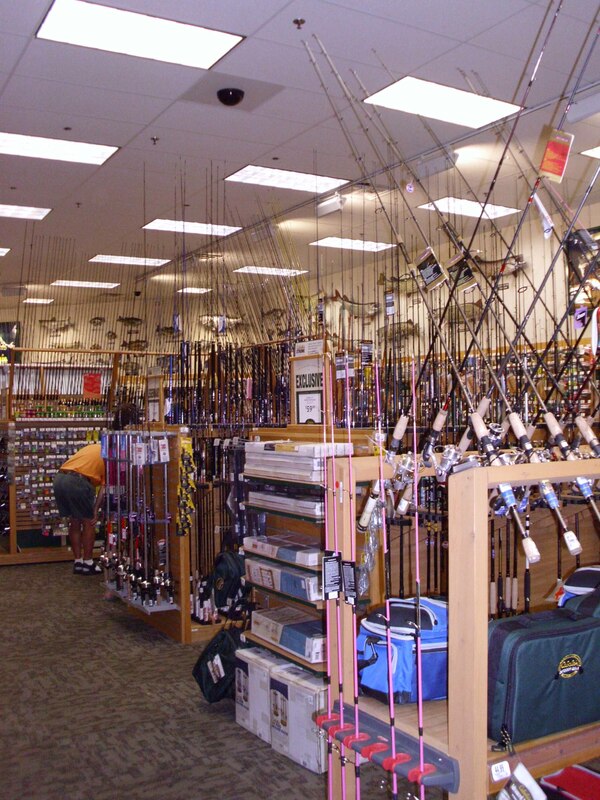 Americans just do the hunting / fishing shops so well! I’m currently musing over a collapsible air rifle (would fit well in a pannier, you see…) but the American forums are much more robust than the UK ones about what’s appropriate for dispatching bunnies.